New reports have emerged that suggest Apple are reportedly set to release an superior, more powerful model to their iPad range, which would combine the iPad Air with the MacBook Pro. The iPad Pro is said to replicate the functionality of the iPad lineup with the MacBook Pro models. 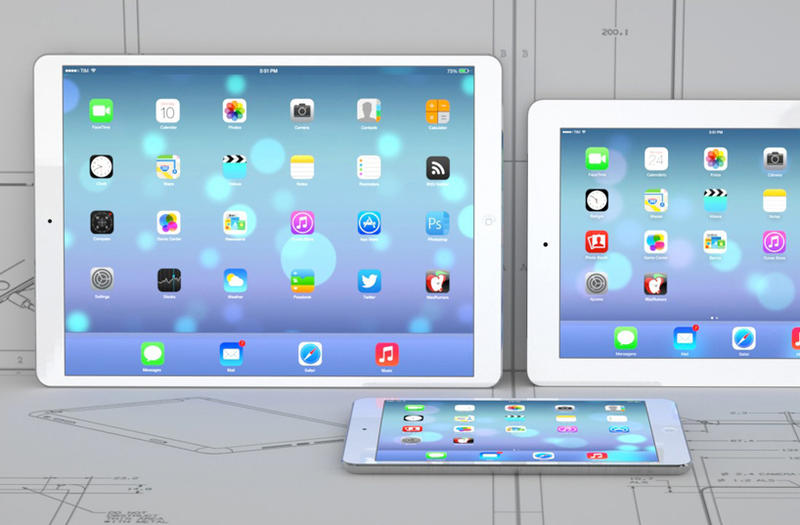 The iPad Pro would feature a 12-inch screen which would encompass a 2k display complete with eye tracking. The report suggests that the iPad Pro is the logical next step given Apple’s recent change to the naming convention – more specifically the iPad Air. Rather than follow the logical numbering scheme Apple has previously used to name their iPad lineup, Apple instead chose to adopt the Air name from presumably the MacBook Air. This adoption of the Air name subsequently triggered rumours that the iPad lineup would mimic the offerings of the MacBook lineup. The MacBook Air is a smaller, lighter, less powerful MacBook, whereas the MacBook Pro is more focused towards power-users. The obvious comparisons suggest that the iPad Pro will be more feature-rich and be a hybrid of MacBook and iPad. The iPad Pro will reportedly feature a 2k display, removing the retina display technology from the iPad lineup. It will also feature eye tracking technology, of which the implementation on quite how this will be useful is yet to be understood. The move away from the retina display technology is reportedly in response to the cheaper yet superior competitors such as the Amazon Kindle Fire HDX. Analysts suspect that due to the retina display technology slipping behind, Apple will pursue alternative display technologies in order to leapfrog the competition once again. The reports hint that the iPad Pro would make an appearance around fall time, despite sources suggesting Apple were initially aiming for a winter or spring release but production was delayed due to supply shortages – something that has delayed Apple product releases before. An iPad Pro would definitely make sense, given the iPad Air being named the way it is. Apple seem to think there is a gap in the market between the iPad Air and the MacBook Air – would you buy a premium higher spec’d iPad Pro?